“The creative industries is driven by the private sector initiatives and what we are doing today is equipping you for the future development of that industry right here in Grenada,” was the message from Thomas Matthew, Chairman of the Grenada Cultural Foundation, when he addressed the opening ceremony of an event management workshop last Wednesday. “This is the beginning of a series of platforms aimed at developing and growing the sector. This is not for carnival, but for the development of industry,” he told the participants, during the opening ceremony of the one-day workshop which was held at the National Stadium, and facilitated by Business Consultant Michael Archibald. Making a plea for those within the creative industries to not only apply their emotion when it comes to the development of the sector, Matthew said that based on his observation, one of the critical challenges locally is the need for persons to start treating the industry the same way they treat other developmental sectors. “We are more emotionally attached than intellectually enabled, when it comes to the creative sector which is bringing millions to other economies,” he said. The workshop was made possible with funding from the National Lotteries Authority (NLA), and during the opening, General Manager Geoffrey Gilbert stressed the need for proper planning, as this can make or break an event. “Planning plays a critical role in the success of any event — better planning, better results,” said Gilbert, who urged the participants to take the instructions from the facilitator seriously. Topics covered included: Types of events; Creating a theme for an event; Elements of event marketing and promotion; The Event Budgeting process; and the GANTT Chart for an event. The event management workshop was the second workshops undertaken by the Cultural Foundation, as a result of a Memorandum Of Understanding with the NLA. To date, 48 persons received training in adjudication and events management as part of that initiative. On Saturday, June 27, the calypso adjudication workshop was facilitated by Mr Rudolph Ottley from Trinidad and Tobago. The workshop saw a total of 26 persons attending. A news release from the Cultural Foundation said that the participants participated in test judging, which was an integral part of the training process. 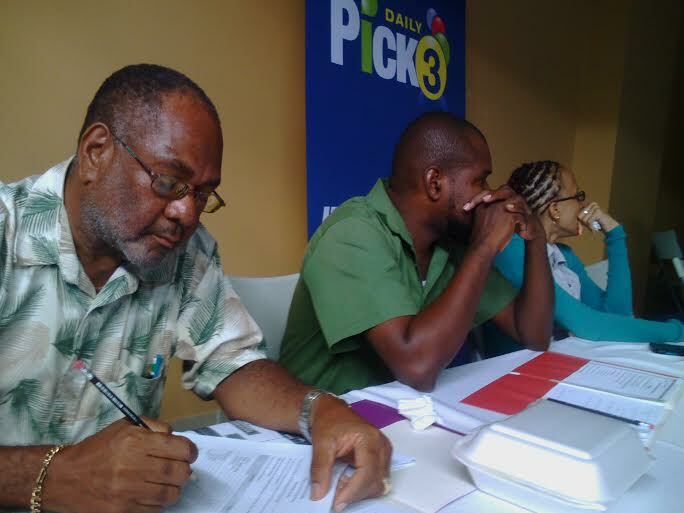 The Facilitator, Mr Ottley, expressed the need for judges to be objective, and to consider closely the scores given, relative to the descriptions of the various categories. He further stated that a score given must be in keeping with the comments expressed by the judge. In providing a typical example, he referred to the fact that a person should not receive a high score for clarity, and the comment states that words were not sufficiently distinct. With its slogan of Sport, Culture and Nation Building, the release from the GCF said that the National Lotteries Authority continues to offer further assistance to several artistes, by providing the sum of $20,000 to support the recordings of songs in both Calypso and Soca genres for the season. “Five studios have been identified across the island, and monies will be paid directly to the studios for the artistes meeting the requirements,” said the release, which explained that the partnership between the NLA and GCF totals approximately $35,000 to support cultural development, and provides assistance to persons engaging in events and recordings as we approach our biggest cultural event, Spicemas 2015.